TOKYO, July 10, 2010 (AFP) - Japan's new Prime Minister Naoto Kan made a final plea for votes Saturday during the last day of campaigning for upper house elections seen as a referendum on his party's 10 months in office. The Sunday vote will be the first national test at the ballot box for Kan since he took office last month, and for his centre-left Democratic Party of Japan (DPJ) after it swept to power last August under a different leader. A total of 437 candidates across the nation as well as party leaders urged the public to support them. A total of 121 seats are up for grabs -- half the members of the upper house. "Eventually, today is the final day," Kan told supporters in Fukui, central Japan, according to Jiji Press. "Our election (campaign) will continue to the last minute." Later in the day, Kan moved back to the capital, winding up a 17-day campaign. "A keyword is politics with participation of citizens," Kan told some 1,400 people, according to police, near the main station in Kichijoji, western suburb of Tokyo. "Politics should be carried out not by politicians but each one of our citizens," Kan, wearing a short-sleeved shirt with no tie, delivered a speech from atop a van under scorching sunshine. Kan, a pragmatist who has vowed to restore Japan's tattered finances, is seeking popular support to draw a line under a period of revolving-door politics that has seen five new premiers in four years. The outcome of the poll will determine whether Japan emerges with a strong government that can tackle the country's problems -- including sluggish growth and a public debt mountain -- and one that remains mired in coalition politics. But Kan, a 63-year-old former leftist activist and a fiscal hawk, who has called for debate on a possible doubling of the consumption tax to 10 percent, faces a tough test. Recent newspaper polls predict Kan's coalition may fall short of holding on to its majority in the upper chamber, meaning he could face a deadlocked parliament unless he seeks new political allies. Surveys show support for Kan and his cabinet has plunged to about 40 percent, from more than 60 percent a month ago, with voters put off by talk of a tax hike. Kan defended his calls for a debate on taxation, while stressing that he has no plan for an immediate increase. "I'm not saying a consumption tax will be raised from tomorrow," Kan told voters. But "which country can help us if we were in the same situation as Greece?" Kan said, referring to the Greek financial woes. Kan's audience cheered, including 81-year-old Hiroshi Matsuzaka who said: "Unless the government has a good fiscal balance, politicians cannot do much." 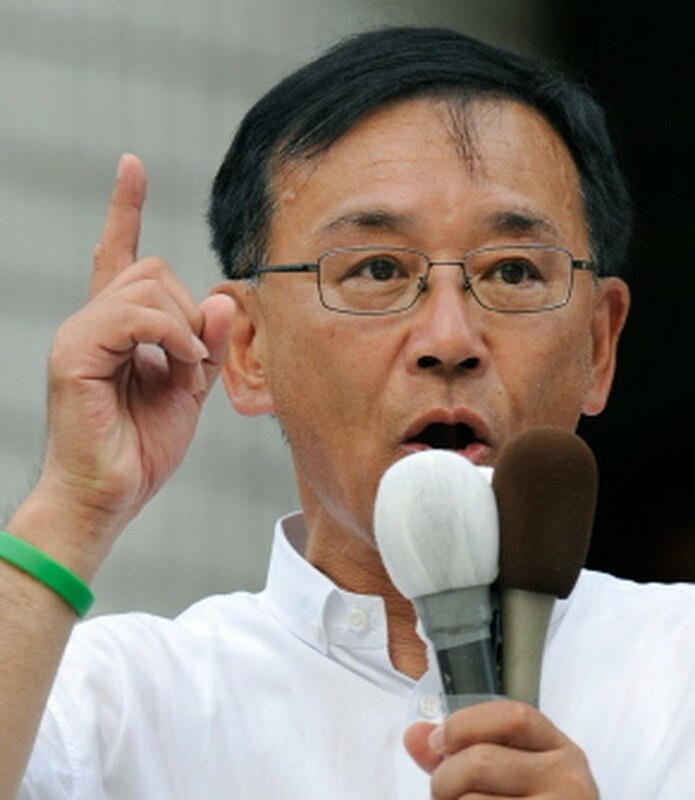 But Seisaku Kawasaki, 66, who supported the once-dominant conservative Liberal Democratic Party, said: "I want the LDP to regain the strong political ground. "Japan will collapse if the DPJ remains in power. It was clear in the way they handled the Japan-US relationship." Under Kan's predecessor and political blue-blood Yukio Hatoyama, the DPJ transformed politics in Asia's biggest economy, ending almost a half century of conservative rule by sweeping the lower house election last August. But Hatoyama fell out of favour with voters over political funding scandals and for his waffling style, especially on a damaging dispute over a US airbase, and was replaced by Kan on June 8. The DPJ, which holds 62 uncontested seats, needs to win at least 60 seats on Sunday to gain a clear majority by themselves -- an outcome considered highly unlikely. The ruling coalition -- the DPJ and the People's New Party, a tiny group favouring higher government spending -- would need 56 seats to maintain their hold on the upper house. The internal affairs ministry has reported more than four million people have already cast votes ahead of election day, more than voted early for the previous upper house poll in 2007.